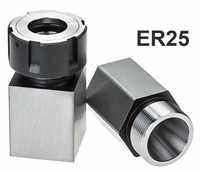 Uses standard ER25 collets 1mm to 16mm. Through hole permits long parts to be machined. Accurately ground faces on all 4/6 sides. Accurately ground back face so the blocks may be used standing upright. Square and Hexagonal supplied separately - just buy what you need. 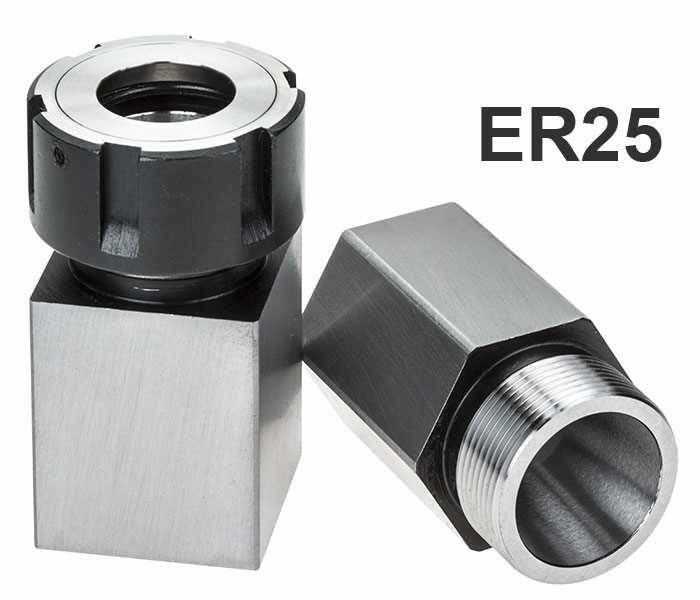 Note: Stevenson's ER25 collet blocks use standard ER25 collet nuts (Type T2 or Type B).